London has been covered by a thick cloud of fog this morning! And strangely enough it got thicker as I got closer into town (normally weird weather dies down as you get closer to central London). 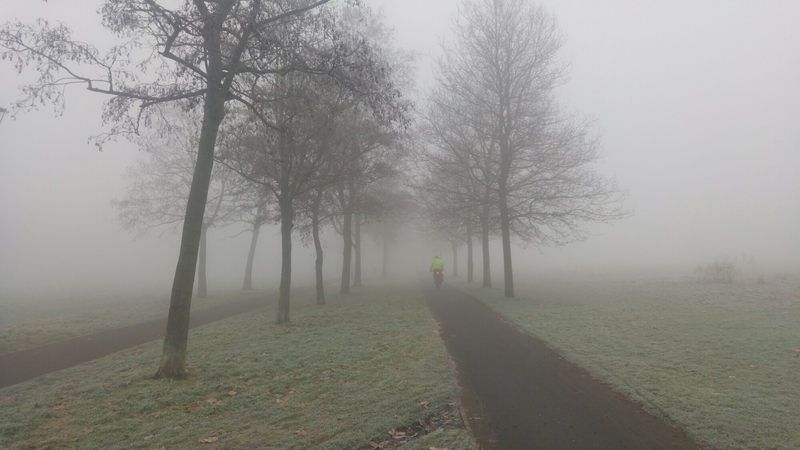 It made for an interesting cycling commute though – I had frost on my gloves when I arrived into work!